NICROCRAFT. BUILT TO TAKE THE HEAT. Since 1968, the leader in Aircraft Exhaust Systems. Wall Colmonoy Aerobraze Oklahoma City manufactures and overhauls Nicrocraft™ Aircraft Exhaust Systems. Individual exhaust components and complete systems are available for most single and twin engine aircraft. 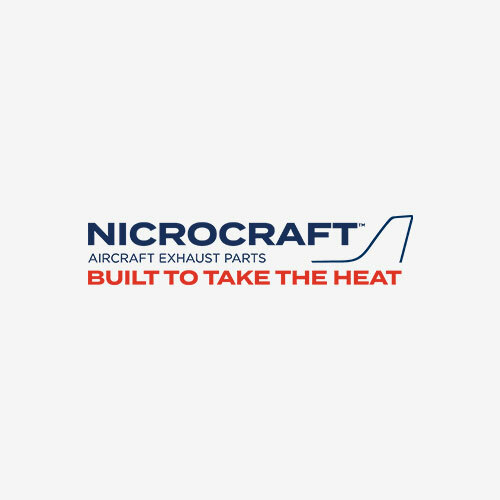 Both newly manufactured and overhauled with FAA – PMA / STC approved parts, Nicrocraft™ Systems can be found in Cessna, Beechcraft, Mooney, Piper and other aircraft. High temperature nickel brazing and Nicrobraz® brazing filler metal, originally invented by Wall Colmonoy, is used extensively in the construction, which is fundamental to weight reduction while maintaining optimal strength. To allow for longer service life. To rigorously test for leaks since exhaust system failures can cause carbon monoxide poisoning, loss of engine power and even fire. To reduce the risk of stress cracking and increase the overall corrosion resistance of the material.